With SIHH and Baselworld done, it’s safe to say that watch brands have released most—if not all—of their new models for the year. While there may be a few more announcements and releases slated for the latter part of 2017, they will be few and far between. So with that said, now is as good a time as any to pick our favorite 2017 men’s watches. Read on to find out what they are. Among the assortment of new Rolex watches for men presented at Baselworld 2017, our favorite is the Rolex Datejust 41 in steel and white gold. Why? Because it’s just so wearable. The ideal everyday luxury dress watch, the Rolex Datejust 41 offers the perfect size, in addition to classic Rolex aesthetics. The 41mm Oyster case size is refreshingly contemporary while the predominately stainless steel construction is practical for daily wear. Yet, the 18 white gold fluted bezel adds a touch of luxury. Did we mention how practical the Datejust 41 is? 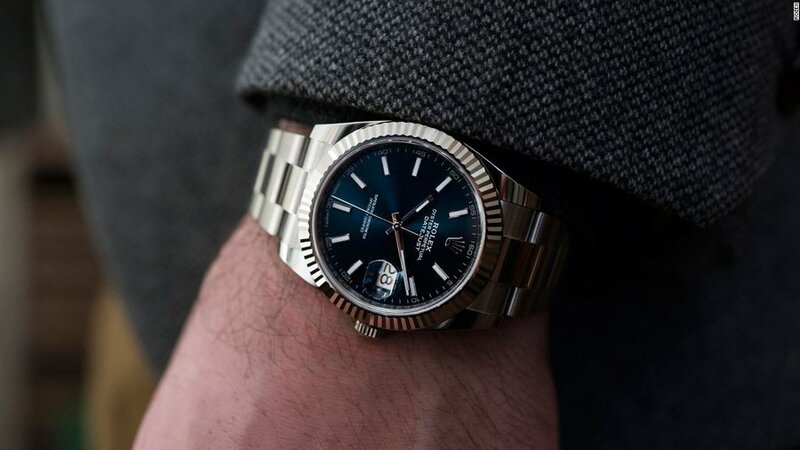 Not only does the Oyster bracelet on the Datejust 41 ref. 126334 feature the Easylink system for a great wrist fit, but also, the newish Rolex Caliber 3235 offers 70 hours of power reserve. Although there are plenty of dial options to choose from, we particularly like the blue color with the stick hour markers—classic, yet vibrant. 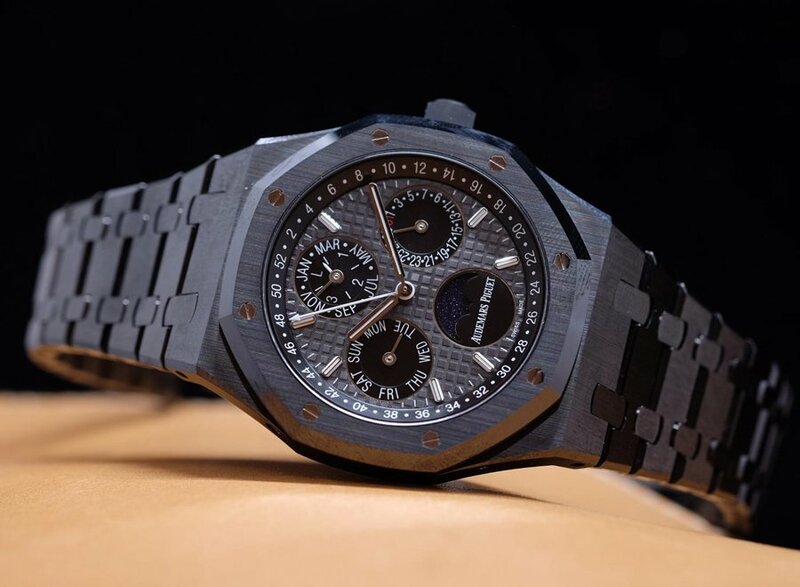 When Audemars Piguet unveiled their latest Royal Oak Perpetual Calendar in full black ceramic, we knew this would be one of our favorite watches for men this year. How could it not be? First of all, it boasts the very practical perpetual calendar function. A useful mechanism indeed, a perpetual calendar watch accurately keeps track of time, date, month, moon phase, and leap year without the need for manual adjusting until 2100.But just as appealing, is the look of the black ceramic construction of the new AP Royal Oak Perpetual Calendar. Although a very difficult material to work with, the end result is well worth it. Not only is black ceramic attractive, but it’s also resistant to scratching and fading. We have a soft spot for Zenith El Primero movements. The legendary chronograph caliber was, after all, the basis for the Rolex Daytona movement for a long time. And in 2017, Zenith presents a new version of the movement: the El Primero 21. With one escapement for time and one escapement for the chronograph, the new automatic movement boasts a 1/100th of a second chronograph and a power reserve of 50 hours. 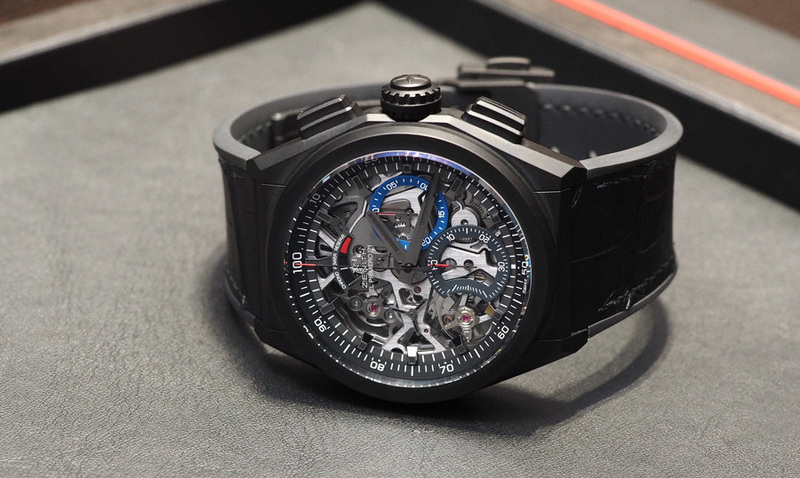 The movement made its debut in the very modern looking Zenith Defy El Primero 21 with a 44mm case. The watch is available in either titanium or cermacized aluminum and dial options include skeletonized version or a solid silver one. In recent years, Bulgari has taken it upon itself to master ultra-thin watches for men. And this year the company presented yet another world record. 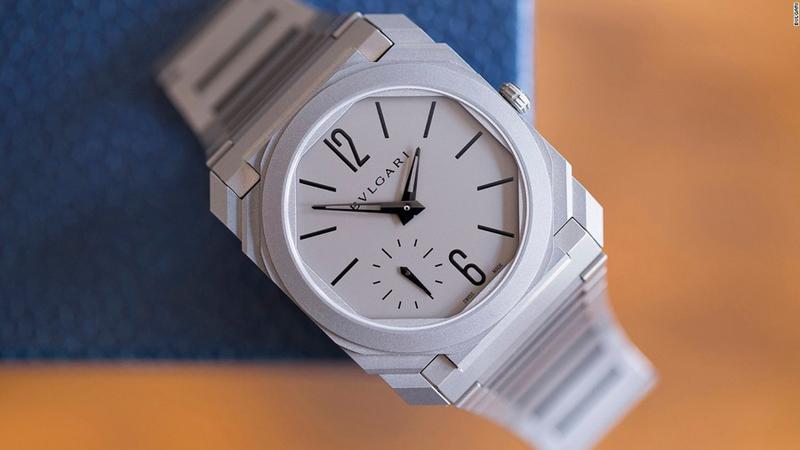 On the exterior, the Bulgari Octo Finissimo is a head-turner for sure, with its 40mm faceted case and integrated bracelet in sandblasted titanium. But the real magic lies on the inside of the new Bulgari watch. The BVL 138 Finissimo micro-rotor automatic movement is only 2.23mm thick. This remarkable thinness allows for the construction of what is now the world’s thinnest automatic watch. This is cheating a little because as its name suggests, the OMEGA 1957 Trilogy actually comprises of three watches for men, not just one. But since the brand is offering it as a set too, we’re including it as one of our favorite picks for the year. The 1957 Trilogy set includes reissues of the original Speedmaster, Seamaster 300 (based on the CK2913), and Railmaster watches from 1957. Each watch is limited to only 3,557 pieces and both the watches and the packaging are straight vintage re-editions. The 38.6mm “Broad Arrow” Speedmaster, the 38mm anti-magnetic Railmaster, and the 39mm Speedmaster dive watch each feature “tropical” dials and patina-like indexes to enhance the vintage feel. 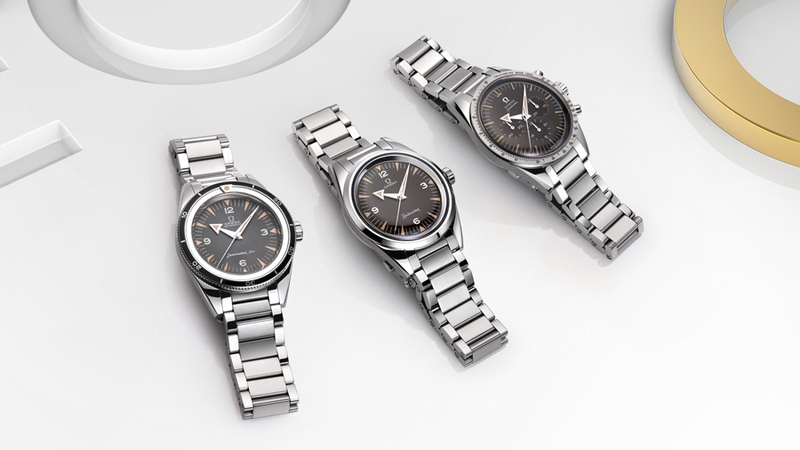 However, powering the trio of OMEGA watches are very modern watch movements. The set of three is limited to only 557 pieces and we’re pretty sure these will fly off the shelves. Do you like any of the watches above? What are your favorite watches of the year so far? Let us know in the comments below!